Fried chicken, Burdock & Co. Photo by Viranlly Liemena. Cream puff, Sweet Boy Cream Puffs. Photo by Amy Ho. Noodles, Sen Pad Thai. Photo by Darren Chuang. Quesadilla, Parallel 49. Photo by Lindsay Elliott. 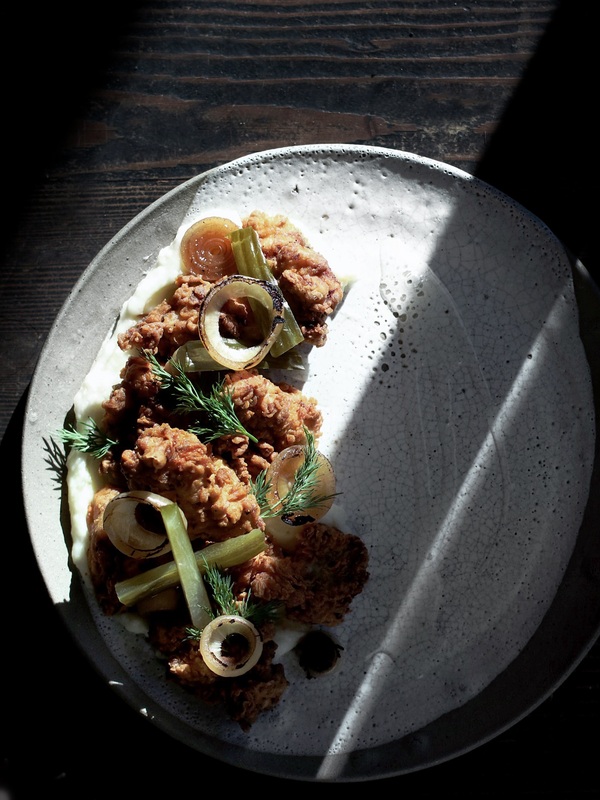 Fried chicken at Burdock & Co.: Fried chicken and summertime go together like picnics and cherries and lazy afternoons—which is to say, well. Burdock & Co.’s Andrea Carlson’s riffs on the finger-licking classic with her dill pickle rendition: brined, local chicken fried to a crunch and cut with dill pickle mayonnaise and a dusting of dill pickle powder. It’s refined comfort food at its purest—and prone to appearing in different flavours, too (if you’re lucky, you’ll catch the crisp bird on kimchi night). Cream puffs from Sweet Boy Cream Puffs: Like a pure manifestation of all that is charming, French-expat Chams Sbouai (a.k.a Sweet Boy Cream Puffs) glides through the streets of Strathcona on his bicycle, selling cream puffs from a cart. 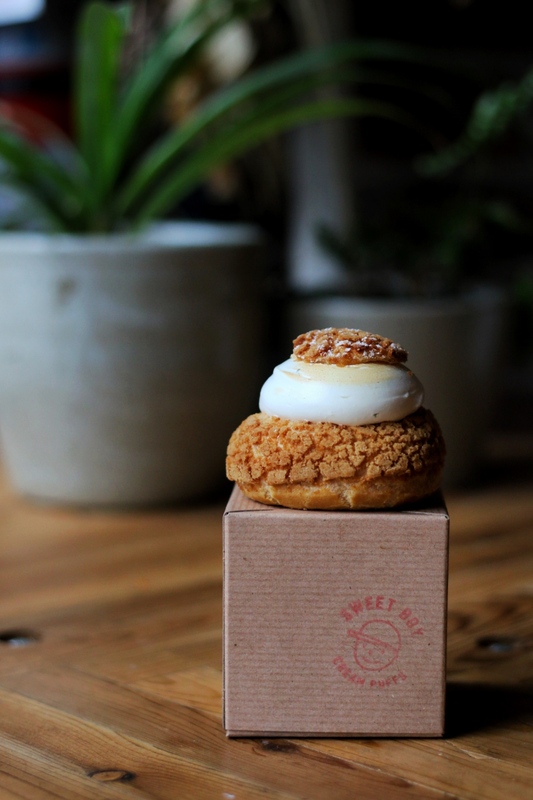 Since summer ’16, Sbouai has been serving his choux au craquelin—cream puffs with crunch from a frost-thin outer layer of light brown sugar—plumped full of pineapple purée, ginger custard, and Italian meringue one day, peanut butter custard with banana caramel and milk chocolate Chantilly the next, and black tea custard with mango and lime zest meringue after that. No matter the flavours he’s serving that day, the puffs will be fresh, light, beautiful, and bursting—each one like an orgasmic little cloud. 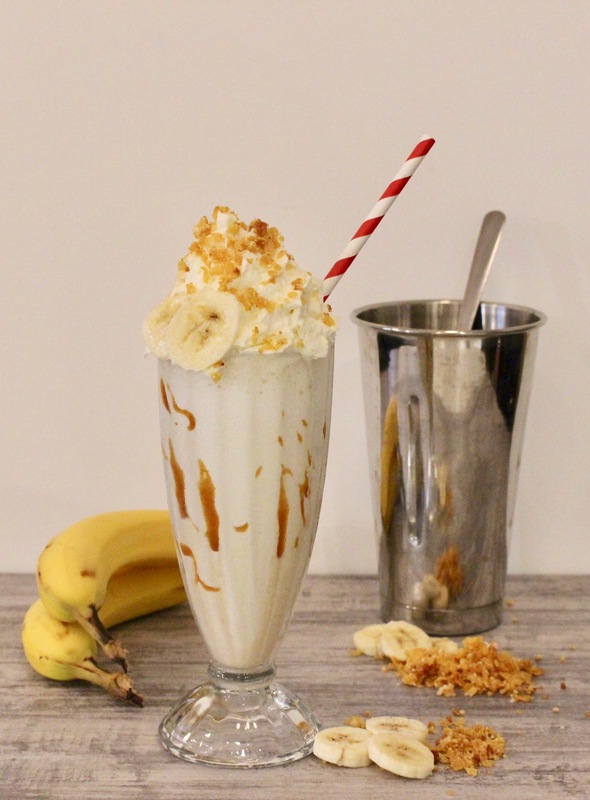 Fable Diner’s banana milkshake: The teens of Grease did it, the teens of Riverdale do it—why shouldn’t you spend your spare time hanging out in a diner? The pros are manifold even in a modernized (read: de-kitsched) joint like chef Trevor Bird’s Fable Diner. The jukebox is gone, but the all-day breakfast, cheerful, name-tagged staff, and milkshakes (with local Birchwood Dairy ice cream) remain. Order the whimsical banana, with cereal milk, vanilla whip, caramel, and salted cornflake crumble. Two straws; booth by the window. 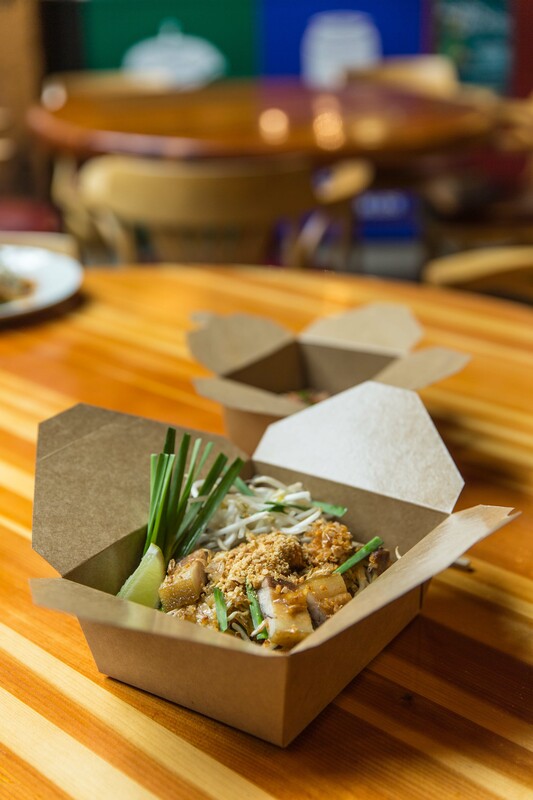 Noodles at Sen Pad Thai: Angus An, king of the Lower Mainland’s Thai scene, keeps things fried noodle-centric at his newest restaurant, Granville Island’s casual Sen Pad Thai. Dishes are authentic and flavourful, and sprinkled with long-cut green onion and crisp bean sprouts. Choose Pad Pu Sen Chan (with crab meat) or Pad Mu Korat (crispy pork), add dried chili from the condiment station for an extra kick, then eat it out of the cardboard sitting by the pier while the seagulls make greedy eyes. 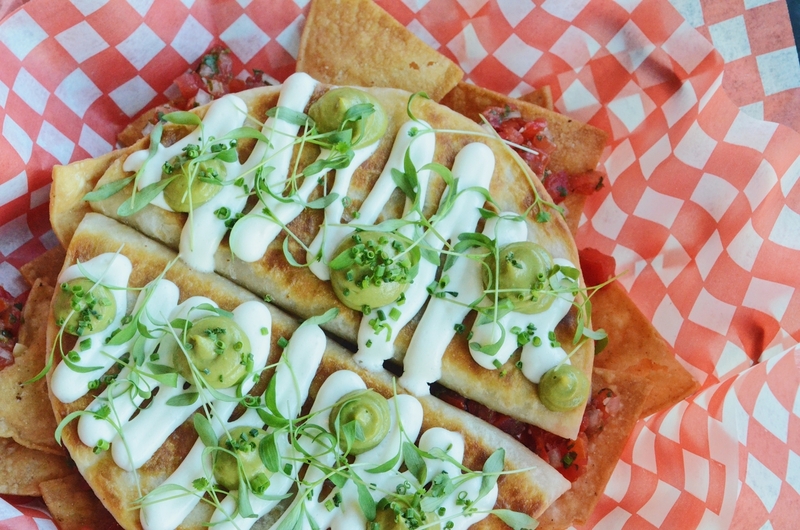 Parallel 49’s chicken quesadilla: In the likely event you embark on a beer crawl of some form through the breweries of East Van, steer your companions to Triumph Street’s Parallel 49. Forty taps (including a beachy grapefruit radler) are on offer, and the newly-expanded space includes an indoor “food truck”, which, admittedly, is confusing, but all that matters when your buzz is going is that they’re serving plates of pitch-perfect, contemporary casual fare. There are duck corn dogs and fish tacos and even Szechuan fried cauliflower with pickles and cilantro, but nothing beats their braised chicken quesadilla: an envelope of shredded meat with crema and avocado and pico de gallo. Eat it with two hands on the patio and finish with handfuls of salty chips. Find our roundup of the five best things to eat in Toronto, here.